Aimee Payne is born just outside of Toronto and raised in Vancouver, Canada. She has trained and made her mark in many genres of dance. Her talent has taken her across Canada, the United States and Europe as a professional dancer and choreographer. 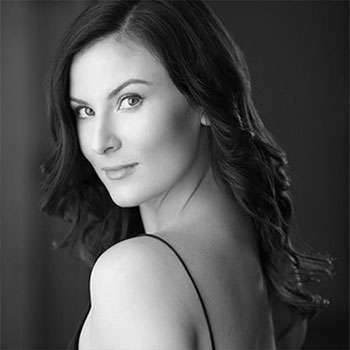 Aimee has carved out a dynamic professional dance career that has her in demand in the entertainment industry performing in various professional shows and teaching workshops. Aimee has assisted many of the industry’s best such as Brian Friedman, NAPPYTABS, Blake McGrath, Dave Scott, Gil Duldulao, Cris Judd, Jillian Meyers and Tessandra Chavez. She performed “Rhythm Nation” with the iconic Janet Jackson for the kick-off of her most recent “Unbreakable World Tour” at Rogers Arena in Vancouver, B.C. Footage alongside Janet Jackson was captured and shown internationally on Entertainment Tonight. In addition to working as a professional dancer in film, television and live stage productions, Aimee has emerged herself into the choreography world where she has won choreography awards, as well as making the Final Top 10 for Brian Friedman's worldwide submission for artist Christina Perri's single "Human". She has performed with artists such as Janet Jackson, Missy Elliot, Bif Naked, Sharaya J, FeFe Dobson, Big Time Rush, Dallas Smith, Imagine Dragons and Nickelback. She has been a Dance Captain and the lead dancer in various live stage shows. Events include the XFactor UK, the Queens Royal Visit, Canada’s Got Talent, CARNIVAL based out of Los Angles featuring Missy Elliot, Winter Olympics Opening Gala, Paralympics Opening Ceremonies, Canada’s Grey Cup halftime show performances, and The International World Weight Lifting Opening and Closing Ceremonies. Aimee was awarded the title of Canadian National Tap Champion, as well as the Provincial Champion for the Performing Arts of British Columbia. She has been awarded numerous awards and scholarships throughout The United States and Canada and includes the NYC Broadway Dance Centre International Student Scholarship, Monsters of Hip Hop, JUMP V.I.P, Coastal Dance Rage “Dancer of the weekend”, Dance Educators of America Final Grand Champion, and Triple Threat “Definite Threat”. Her versatility and strong talent were recognised when she was awarded the Protégé award at The PULSE On Tour, a major US dance experience based out of New York City featuring world-renowned choreographers. Aimee’s passion, perseverance and positive energy has always been a driving force in her career and contributed to her success. She is a true artist. She remains focused on her dream and continues to push towards new heights in a dynamic career within the industry.